The ´Services´ page is where some of your potential clients will visit once they land on your site. This page should mostly be used to give clear and concise information about your products and services. This visual composer mobile app template has been designed to give you total freedom. Use the page builder editor to add new blocks to your site. Once you have added a block, all you have to do is simply start editing its text, and images if they are included. MyApp also lets you move and re-arrange the blocks with a simple drag and drop or delete them altogether if you don’t need a particular one. Use the theme’s customizer to change colors, layout and fonts to build a professional looking website for your mobile app. 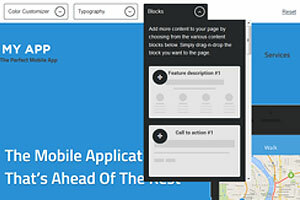 We’ve focused on giving you freedom and making this mobile app template very easy to use. 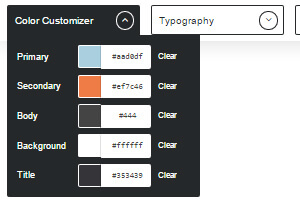 You can change the fonts by using the ’Typography’ drop-down. As you build your website with the theme’s visual composer, seeing how the site will look with a particular font is in real-time. We understand that SEO is very important for to promote your mobile app . 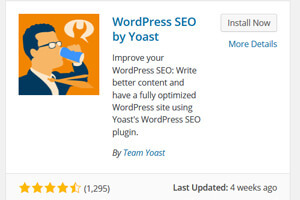 MyApp is compatible with the WordPress SEO by Yoast plugin. Once you export your template, install the Yoast plugin and you’re ready to start entering content in your site’s Meta tags.